...is a keyword research utility that was created by Google Labs and allows users to discover keyword searches that are popular and built around certain specific keyword terms. Google's wonder wheel could be a great tool for helping writers to find new topics. The wheel can also help you dominate specific keywords and phrases in the search engines because it helps you write about the things that are the most searched for on the web using the most popular keywords or terms. Scroll down the left hand side of the page untill you come to the "Standard View" options and click on the link for "Google's Wonder Wheel" Wait for just a moment and the Wonder Wheel will appear on the page. The links coming off the Wonder Wheel are popular and similair keywords, terms, and phrases that you can now use as "Titles" and "Topics" to write or Blog about. Each time you click on one of the spokes "Terms or Phrases" a new Wonder Wheel will load on the screen displaying even more "keywords" and popular "search terms" These can be used for creating great content and getting you closer to dominating your Blog with those specific keywords or phrases. Go deeper and further into the possible options and opportunities to make your Blog's content the most likely to be searched and found. This is like having a road map or blue print for your Blog. If you use Google's Wonder Wheel for a variety of search terms and keywords that you want to be found with, this should save you time and headaches "Wondering" what those "Words" and "Phrases" are. There's always going to be great tools out there, and promises to help get you the best SEO results, but in my opinion, this is one of the best and most powerful I have seen yet. Thanks to Google and Google Labs for making the "Wonder Wheel" available, and for hiding it so well, it gave me a reason to write this post. Brad, I know I have heard this before but my overloaded brain forgot all about it. Thanks for reminding me. This looks like a great tool! Thank you for sharing it with us. Wow - what a cool tool! I am so glad I came across this post! I will definitely be doing this more often and will pass along this post to everyone I know who blogs. Thank you SO MUCH! Brad - What a great tool and one I'll definitely be using. This is going to be really handy! Thanks for pointing out the guide google has given up. I am bookmarking this. Brad- thanks for the reminder about Google Wheel. I have been so caught up in other aspects of writing my blog that I'd forgotten to try it. And, lest I forget, thank you, Bob and the rest of the AR staff. I know you all have put in long hours and at the risk of a "P. E." I have to say that I have not had a "P.E" since Monday. (Knock on wood). Brad, Thanks for the post and sharing yet another great tool. I will definitely put this in my arsenal. Katerina introduced me to this tool, and I absolutely love it. Oh wow. This is powerful stuff. The Wonder Wheel is great - I learned about it sometime ago and shared it with several people who thought it was great. What will they think of next? It's interesting to watch and see what keywords change over time, too. Hi Brad... another great tutorial. I have been using the wonder wheel and love it! Hi Brad - Thanks for sharing this. I'll use it. But it should be mentioned that it doesn't work in firefox. There is no little "+Show Options" link when I search through firefox, but there is when I search through Internet Express. Thank you for explaining this. I heard about the wonder wheel in a AR webinar but didnt have a clue how it worked! Thanks Brad, a new tool to work with. I'd never heard of this but just checked it out and will be changing some of the keywords on my website tomorrow. Another rockin post Brad! I have bookmarked this. Thanks as always! Wow, this is amazing! thanks for sharing. There is so much to learn that it makes my head spin! I feel like someone just gave me the secret key to the kingdom. I hope that feeling is true! Thank you so much Brad! I will definitely be checking this out. Thanks for bringing it to our attention. A long tail keyword generator so to speak...That is great. This is so much easier to use (initially) than Google's keyword search tool to find relevant keywords. Will have to play with it to see how useful. Brad, another winning post, thank you. And we are always the winners of your posts, LOL. I am off to try Google Wheel. Great tips here Brad. Looking into this shortly to see what I can improve. This is very cool...round and round and blog and blog and where it stops...looks like it just never will ! Brad, Not only is this an awesome tool for strengthening my blog's presence but it is actually fun to experiment with. Thanks!! WOW WOW WOW! This was incredibly helpful! Thank you! I am amazed at what I learn here everyday! Guess what? AR's email comment notifications are back on again! YAY!! I Just got a ton of comment emails in my inbox! WooHoo, piece by piece AR is getting back up to speed, and so far it seems faster and better than ever. What would we do without you? Nice little tool to spend some quality time with and streamline blogging. Brad, thanks for the info. Google is doing it all right. Thank you for posting this info, I am looking forward to using it in my efforts to improve my site. Steve pointed this post out to me saying I had to check it out, thank you for the info! The Google Wonder Wheel, sure does sound like a mighty fine to look into and use. And I sure do always enjoy reading your step by step tool 's blog posts. Brad, thank you for sharing this information. Wow...it is amazing how much we continue to learn everyday on Active Rain. Great stuff. I can't wait to use it. Thanks. Awesome. Thanks for sharing. Headed to try it out now. This is great information. It never ceases to amaze me, how much is out there to discover. Great Info - Going to have to block off some time to see the options available to home buyers in our area with regard to google searches. Brad - I've heard of Google's Wonder Wheel before and thought it was a great idea, which I haven't pursued. Thanks for bringing it to the forefront again. In all seriousness, though, this is another great example of how terrific a resource you and AR are to all of us. Thanks for pointing out this valuable tool. AR is such a valuable resource. Thanks again. Thank you Brad! I will now rewrite my post to include the terms I found on Google Wheel. too cool! Thanks so much for the great tool -- and all the details! Someone showed it to me once, but I had forgotten all about it. But now I'm going to put it to use! Brad thanks for another great tool, so much to doI had forgotten about this. Great information. I cant wait to use it. Now I just need 3 more hours of enery in my day!! This is friggin' awesome. 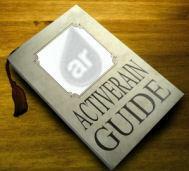 AR is our very own roadmap to success. Thank you so much. WOW! Excellent. Learned something new and exciting today! Thanks Brad, I don't have time to absorb all of this wonder wheel right now but will be back when I can. Have you heard from America's Got Talent yet? It was great to meet you in Chicago RAINCamp! Cool! Thanks for enlightening me Brad. Gotta love it! Great info, thanks Brad! Brad...thanks so much for the tip...I've bookmarked to check this out over the weekend. This is so cool. I am going to try it out right now! Thanks! I need some fresh content. I LOVE this idea. Thanks for posting. I had to reread it a few times to memorize but this is nifty city. Rita Burke-Denver Kenna Real Estate I believe was the first person that introduced this to me. But I thank you Brad for bringing it to my attention again. I am going to do this to re-write some of my blogs. Have a great weekend. Great post. I've never heard of this before. Thanks for letting us know about it. I can't wait to check it out. Hello Brad - another great post, it seems like you always have your 'finger on the pulse' with new tools. You always come with cool stuff, and you are always the first to stumble upon this stuff... well, I guess, you can't stumle, unless you search. Hi Brad~ Thanks for reminding me of how much I still need to do and figure out! Hopefully I can some back to this and try to figure out after I get some sleep! I just tried this! My "competition," both Active Rain members, do not seem to be active (no pun intended) so I am learning and growing and they are not. AR is an incredible wealth of information and knowledge and I am so appreciative for all of your tips. This one is AWESOME. Thank you, thank you!! Very good stuff. This along with Google Adwords can be super useful. I love it Brad. Thanks for always being so on top of these things! That looks like a great tool. Sort of like mind mapping in reverse. Brilliant! Thank you for sharing this! this sounds like a GREAT tool, but I keep getting an "error on page" notice and no map. I can't wait to try it on another computer. Thanks for teaching me something new I didn't even know existed. This is one of the best kept secrets out there. WOW!!!!! I actually didn't know that THIS tool existed!!! SERIOUSLY?!?!?!? Where the heck have I been!?!?!?!? Jim - this is one of the greatest tools out there in my opinion. It seems to be a "best kept secret" for those who see its power. FYI... I think it only works with the firefox browser, I was told it does not work with internet explorer.